If you’re a big fan of embossing, we’ve got a fun idea to share with you today: using TWO different embossing powders on the same stamped image! So let’s dive in to the technique. The star and stocking cards above both use the same basic technique. We simply stamped the image with VersaMark™ ink, added the two embossing powders, and then set the images. This was easy enough because of where we wanted to put the powder and the look we were going for, but the present card required a little more precision, so we decided to use masking! We taped off everything but the ribbon, inked the image, removed the tape, stamped, added silver embossing powder, and then heat set the powder. We repeated this same technique for the gold wrapping and ended up with a wowie finished product. 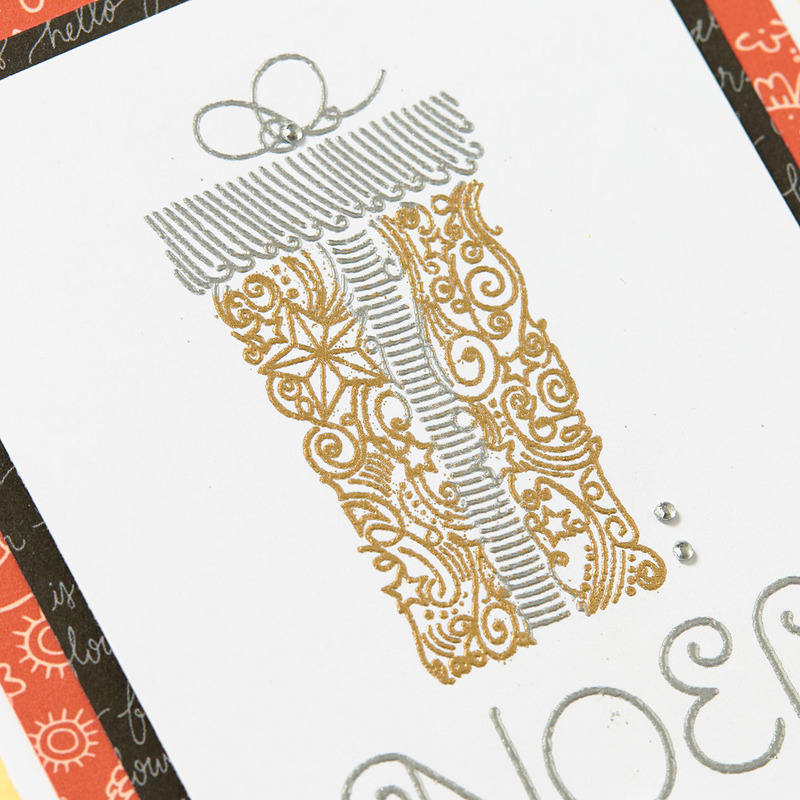 What fun embossing ideas do YOU have? Tell us in the comments below! And be sure to share your artwork using the hashtag #ctmhembossing.